Maize from the Ord region of Western Australia loads for export at Wyndham. THE Western Australian port of Wyndham is on track to ship a record four cargoes of maize to Korea this year, in line with what is normally exported from Victoria where only one 2019 cargo is expected to load. The dive in Victorian maize shipments has been caused by limited irrigation water and a hot and dry summer which reduced planted and harvested area, as well as yields, in Victoria and southern New South Wales. 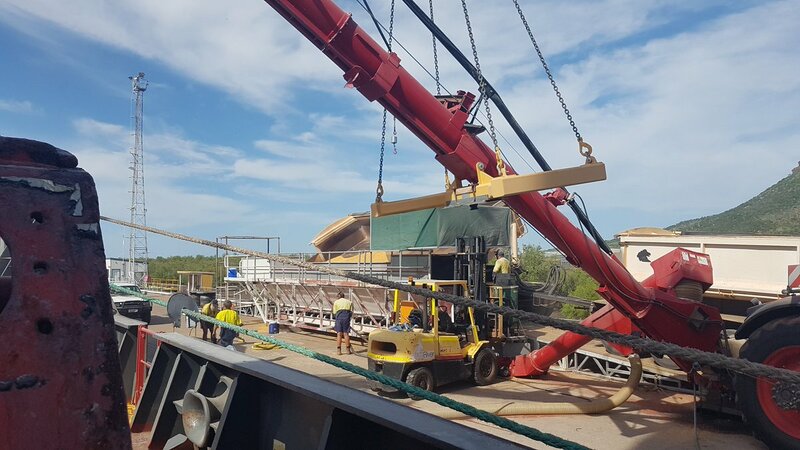 Robinson Grain trader Adam Robinson said the upswing in production in WA’s Ord River region, which ships its maize out of Wyndham, has come at the right time to cover Australia’s bulk shipments. Last year, three maize cargoes were shipped from Wyndham, and one or two have gone to Korea in previous years. Exporters out of Victoria have shipped as much as 60,000t of maize per annum to Korea in recent years, and are likely to again once the domestic market recovers from its drought-driven deficit. Korea normally buys Australian maize in 10,000-11,000t cargoes, and additional tonnage in containers and small bulk cargoes has also sold into Pacific Island markets in some years. While growers in the Ord are starting to plant their winter-grown maize crops, the eastern-Australian crop is around 60 per cent through its harvest. Maize production in Queensland and central and northern NSW has been hammered by the harsh summer. Lachlan Commodities Forbes-based trading manager Andrew Cogswell has estimated eastern Australia production at 265,000 tonnes, down from around 450,000t in a normal season. Trade sources have said irrigated yields in the Murrumbidgee Irrigation Area (MIA) have been around 10-11 tonnes per hectare, down from the average of 14-16t/ha. Australia’s fixed maize requirement sits at around 200,000t, which includes the popcorn, cornflake and corn-chip markets, with any surplus going largely into the stockfeed market. Trade sources have said growers were careful from planting onwards not to over-commit themselves on tonnage. Defiance Maize Warwick and Corson’s Australia general manager Gerhard Oberholzer said the company sourced its maize from a geographical area spread from northern NSW to Central Queensland, with a 50/50 split between irrigated and dryland production. “Our loss due to the drought overall was about 35pc of the tonnage we contracted, and mostly dryland producers seemed to be severely affected,” Mr Oberholzer said. PB Agrifood director Peter Brodie has estimated around 25pc of Queensland’s normal maize area was planted, and saw Queensland production at the low end of trade forecasts for 30,000-40,000t from the crop now being harvested. “The Southern Downs particularly has been a shocker for the past two years, and some growers have produced around one third of what they normally would, and less in some cases. “Some corn didn’t cob well, and it went to silage, and some was going okay, but the grower might have put all the water they had on their cotton if they had bales forward sold. 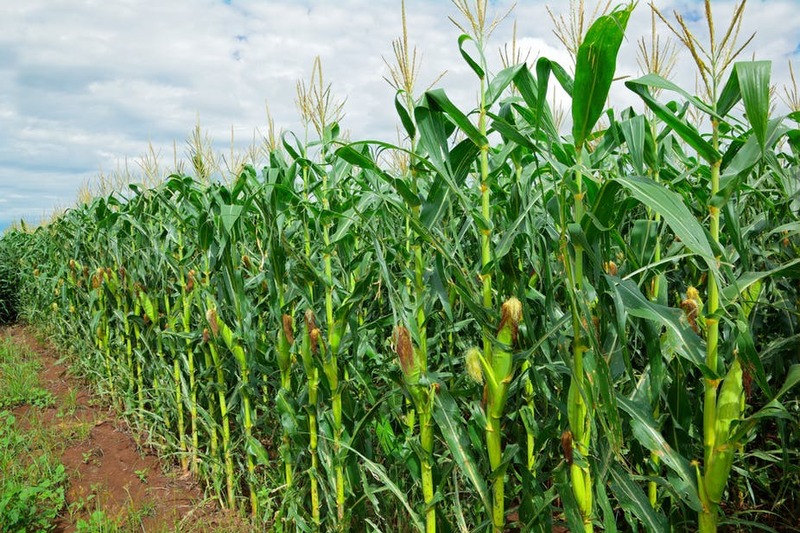 Queensland usually produces around 200,000t of maize, and production in Central Queensland has also been limited because of the lack of timely planting rain. A chronic shortage of feed for sheep and cattle, including those in feedlots, encouraged growers with maize crops to plant with the silage market in mind, or cut crops with unimpressive yield outlooks for fodder rather than grain. “A lot of short-season corn seed was sold for this crop because the silage market was such a good option for growers,” Mr Cogswell said. Maize into the feed market has traded at roughly $460-$520/t in up-country markets in recent months, and has been an attractive option for feed millers at a considerable distance from free-on-truck markets in Victoria, NSW and Queensland. These have been supplying wheat and barley shipped in from Western Australia to mills in metropolitan and adjacent districts.